Adrian Carballo is currently the Director of Institutional Relations of the South School on Internet Governance and Director of Marketing and Business Strategy of Dominios Latinoamerica. He also serves as Director of CCAT-LAT, Technology Training Center for Latin America and the Caribbean, a nonprofit organization which is Center of Excellency Training in ITU and also organizes every year the South School on Internet Governance and Dominios Latinoamerica in different countries of the region. He has served as an advisor to UNESCO´s connectivity projects and content for rural schools, library digitization and e-commerce projects for the development and integration of rural cooperatives. He previously served as Coordinator of the Advisory Committee on Technology for MERCOSUR Production Integration in the Department of Economic Integration for America and MERCOSUR in the Ministry of Foreign Affairs of Argentina. Adrian Carballo was also the Coordinator of the Financing Committee of the Regional Action Plan for the Information Society eLAC 2010. Prior to these positions, he worked as a technology specialist in the Department of International Trade, in the Ministry of Foreign Affairs of Argentina where he developed programs to promote SMEs first export. In the past he has worked for Telefónica Argentina in Marketing Management. He participated and organized in the Ministry of Foreign Affairs of Argentina the Cyberlegislation training program of UNCTAD and the Government of Spain. 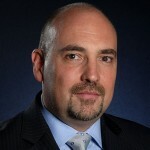 Adrian Carballo is a member of Executive Committee of the Argentine Chapter of the Internet Society, ISOC Ar, and an active participant in ICANN, LACNIC, LACIGF and IGF meetings. In ICANN he serves in the ALAC as President of the ALS “Fundación Incluirme”.